We have lots of Easter week activities. Let's come together on Palm Sunday, remember our Lord's sacrifice on Good Friday and celebrate our Risen King on Easter Sunday! As we follow along on the journey with Jesus to the cross, the season of Lent engages our hearts and minds so that we are truly ready to celebrate once we arrive at Resurrection Sunday. Lent is a time of contemplation, a time of dedication, and a time of preparation. Click here for the Lenten Devotional. Join us for SPRINGTACULAR! 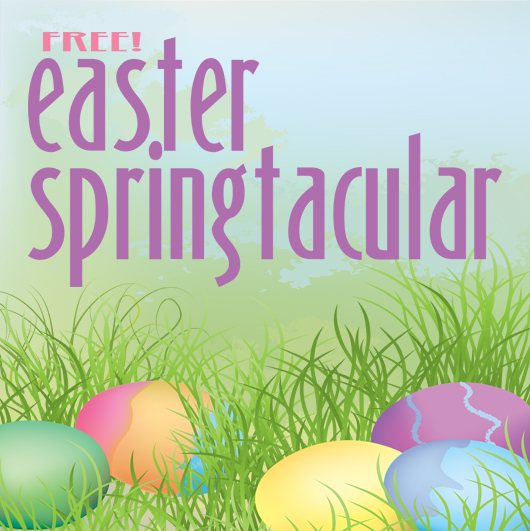 A FREE Easter event with egg hunts, games, pony rides and inflatables for preschoolers and their parents! 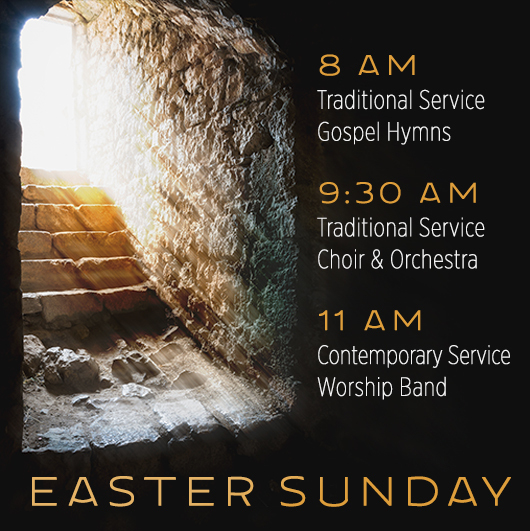 Be a part of celebrating our Risen King on Easter Sunday with three morning worship services. Each service offers a different styles of music and worship, and all celebrates our joy that Jesus lives!